This is my 2nd time make Mille Crepe.The 1st Mille Crepe i think about 1 year ago.My colleagues request me to make it again.She like it very much.Mille Crepe now is very popular in Malacca.My friend told me that it expensive too.The ingredients is not very expensive and not much ingredient needed.Just need long time to fry the crepe.This time i decorate it look like a big Chrysanthemum flower. Lightly beat the eggs,add in milk and melted butter then sift in flour.Mix well. Strain and cover with plastic wrap.Then put in fridge overnight,this allows the gluten in the flour a chance to relax. Place a non-stick pan on low heat. 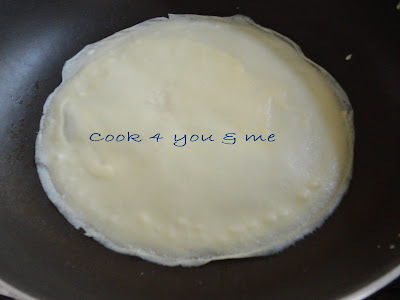 Add a ladle of crepe batter and quickly tilt the pan to coat the entire surface evenly in a thin layer and pour the excess of batter. Cook one side only until cooked or golden brown.Remove. Continue cooking the rest of the crepes. In a large mixing bowl, beat whipping cream on high speed until thick and stiff. Add in the rest of ingredients, combine well and chill in the refrigerator. 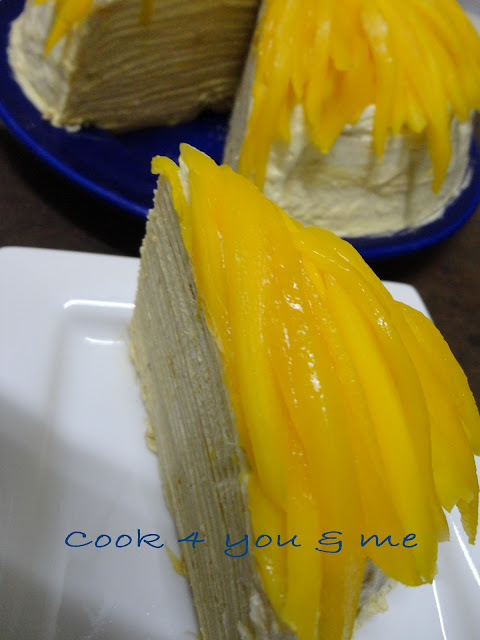 Using a pastry scraper, spread a thin layer of mango cream on the first crepe. Repeat until finish all the crepe and cream. 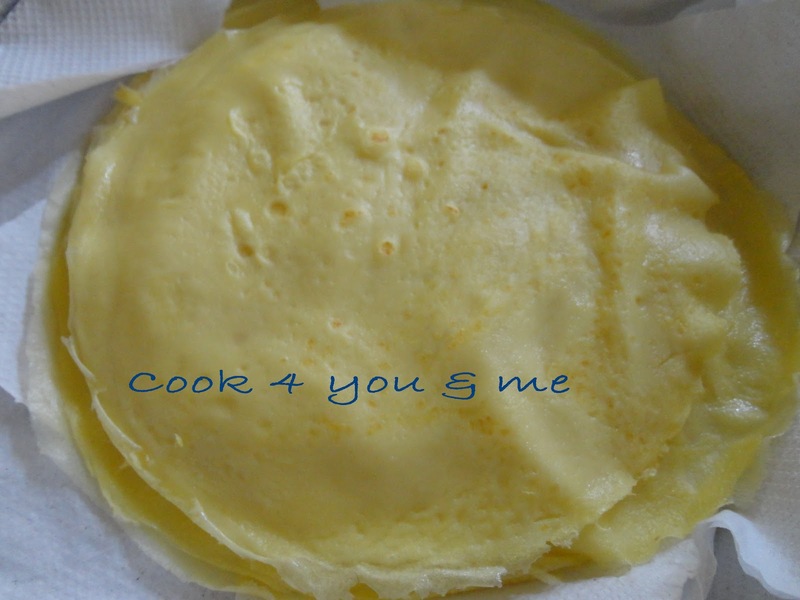 Wow, well done, i have so long did not make this crepes, lazy lar, hehehe..Ya, about the Hum Choy, quickly make it at home, taste exactly like store-bought. This is good because we know what we added in unlike the store-bought..
That's a very pretty looking dessert. 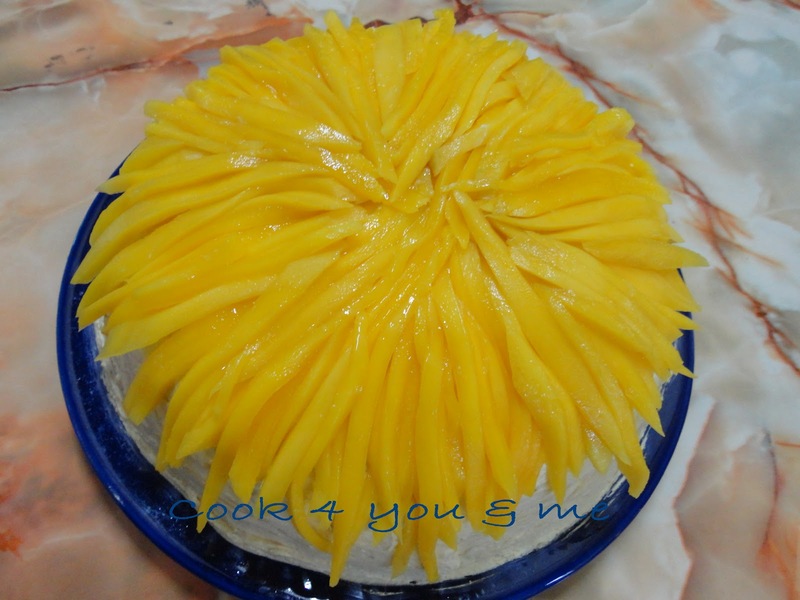 The mango cream sounds delicious and I like how you have topped it with those mango strips. This is so pretty! I've not tried this mille crepe yet. Definitely going to try this for sure as I've all the ingredients at home. beautiful! 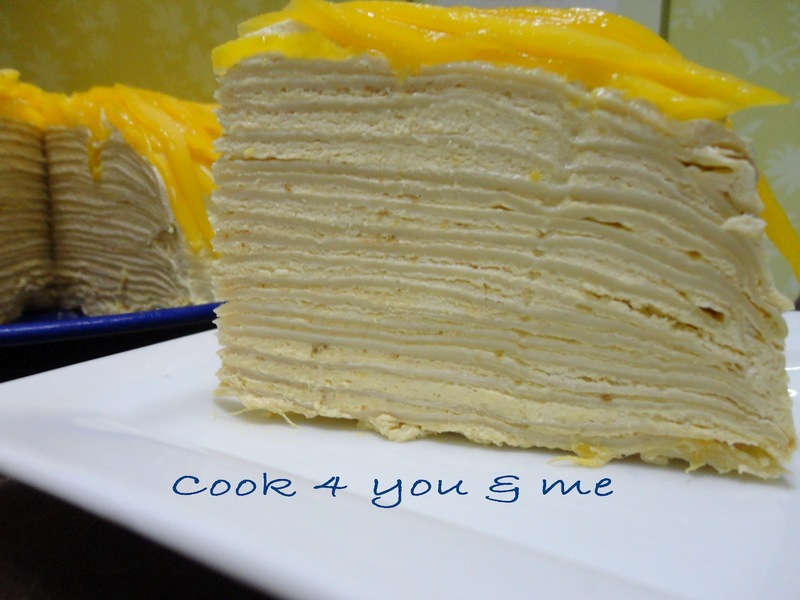 i didnt have much success when i did that long time ago but i would like to try out one durian mille crepe selling in one of the cafes here. Heard that it's good. your Mango Mille Crepe looks nice...will try them,i mean cook them when have the time..only weekends i'm free..would like to asked you what is Mango concentrated?according to your Mango cream recipe..